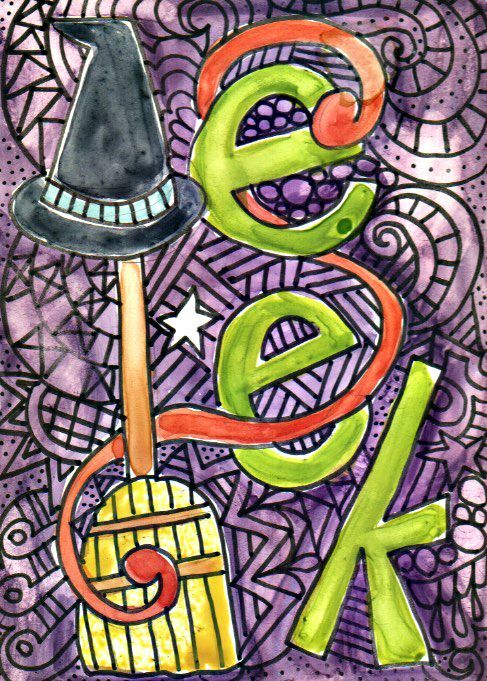 23 of 30 : eek! Still trying to catch up. 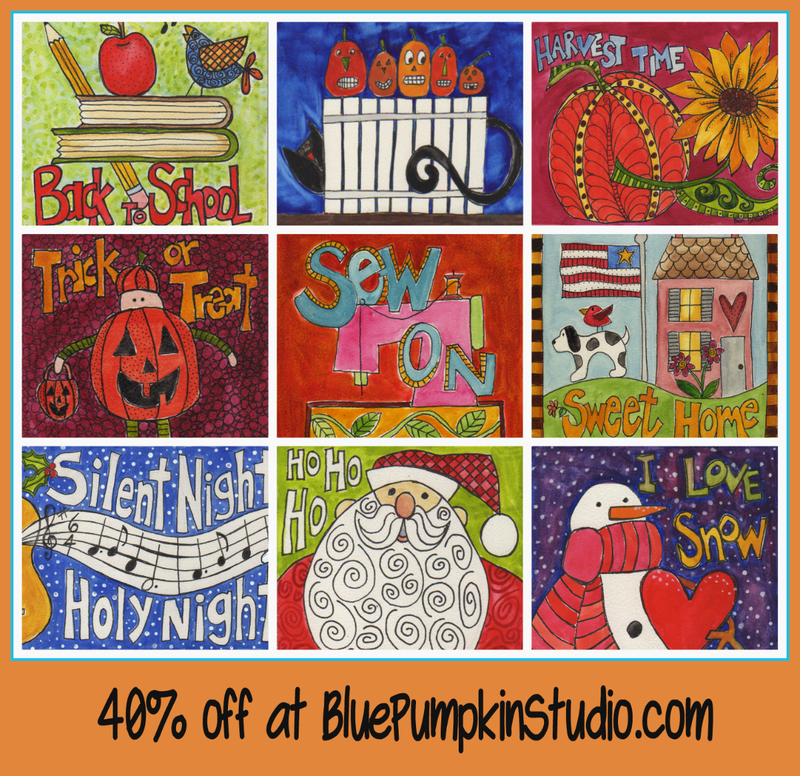 This little painting (and I mean little–only 2 1/2″ x 3 1/2″) was painted on a new (for me) medium called Stampbord. It’s made my Ampersand and says to use it with stamps, inks, embossing etc. It did not say watercolor, but I tried it anyway. The surface is slick, like Yupo paper–only it’s mounted on 1/8″ board. I wasn’t too adventurous with it this time. Maybe tomorrow. Beware! 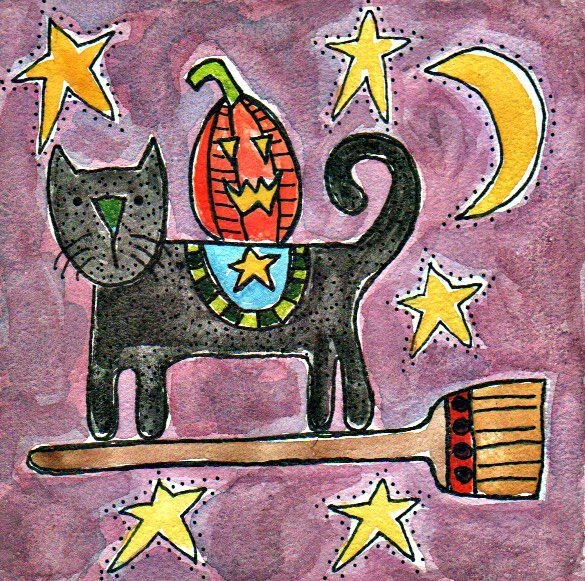 Black cats are coming soon and they are bringing scary jack-o-lanterns with them! It’s that time of year. 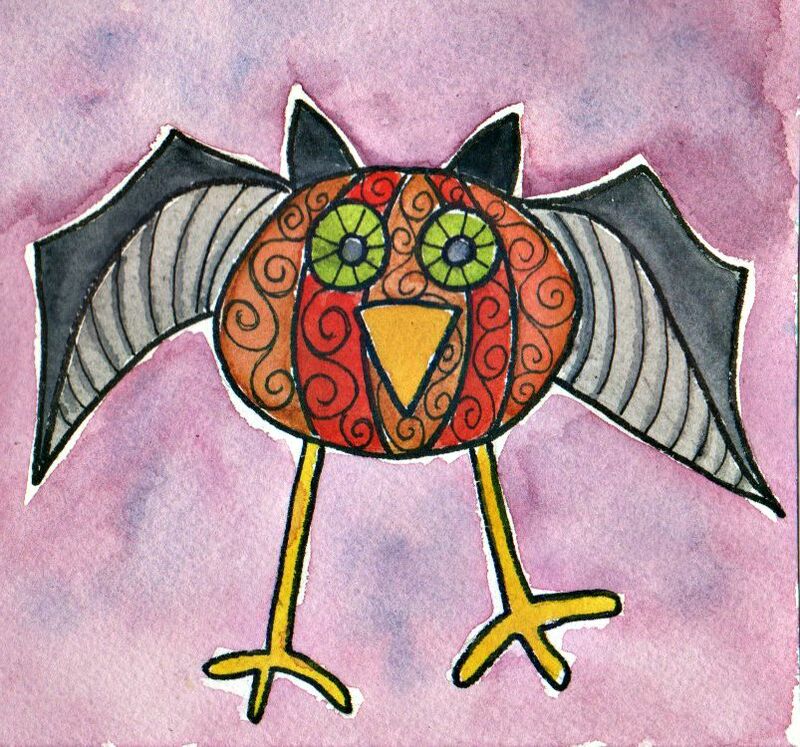 Beware the pumpkin bird..or is it a bat? Not even the artist knows! 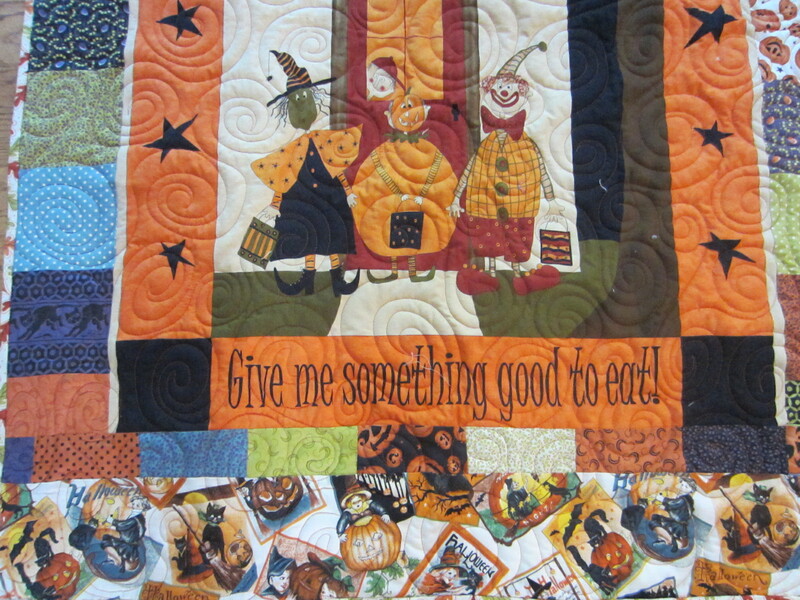 I was going through my quilting stash and found this Halloween panel that I must have bought years ago. 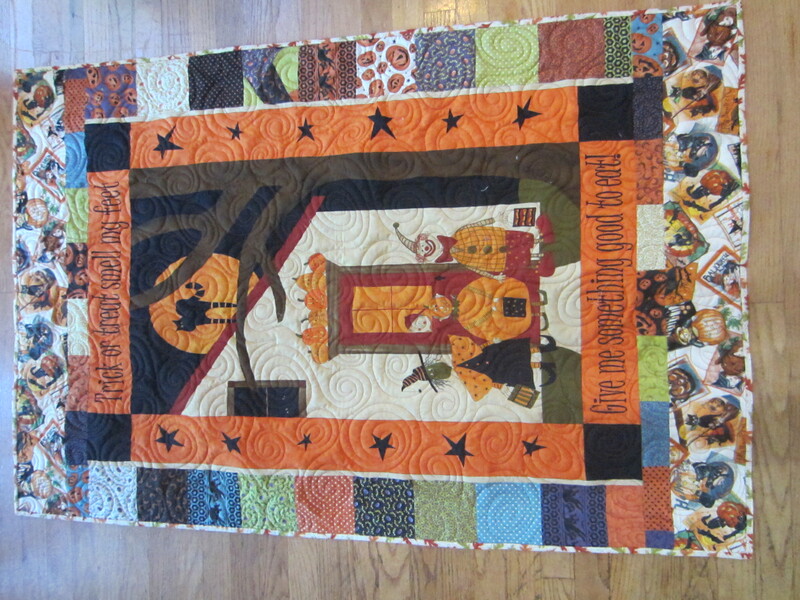 It was time to make something from it, so I added some 5″ charm pack squares to the sides and some of my favorite Halloween fabric for the top and bottom borders. I think it will fit nicely on my classroom door. I think the kids will like it. 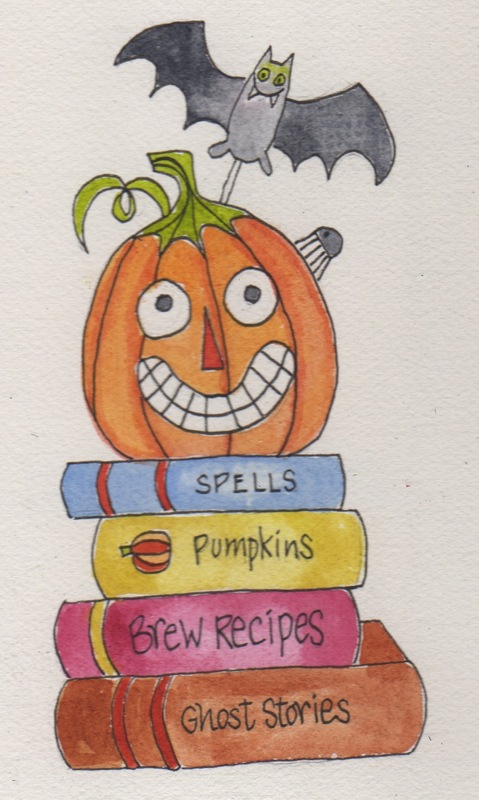 Now I’ll have to make one for every holiday! Stay tuned. 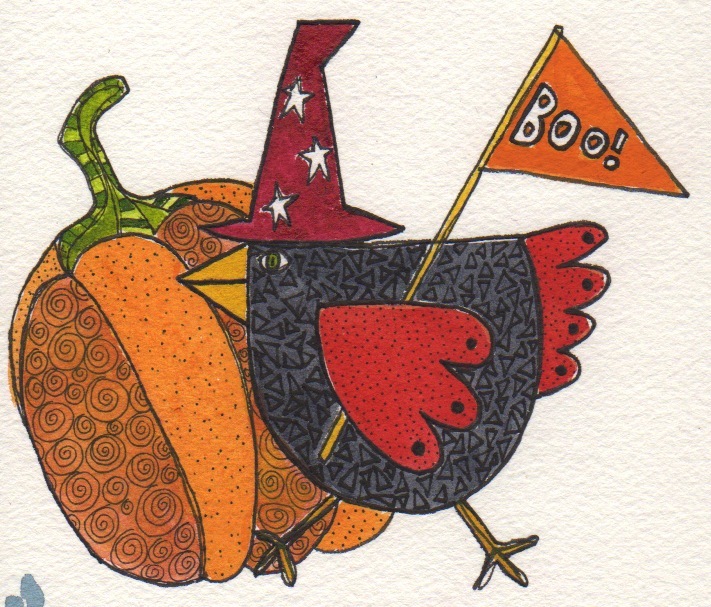 Happy Halloween from Boo Bird!